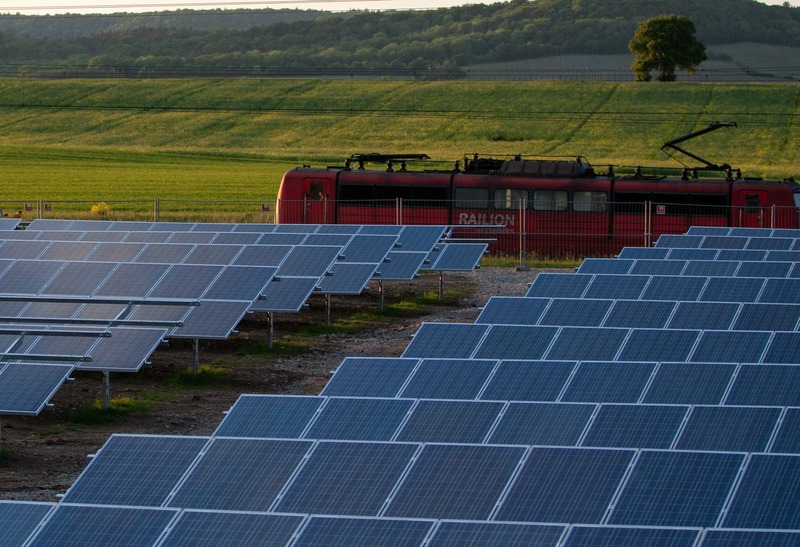 Construction for the biggest solar power operation in the state is underway. Alliant Energy is building 15,600 solar panels on 21 acres near Dubuque to produce enough energy to power 727 Iowa homes every year. The $10 million project should be up and running by August. The energy company is working with the city of Dubuque and the Greater Dubuque Development Corporation to establish the operation. Another smaller solar site will be constructed closer to downtown Dubuque, and will have an educational component for visitors. The city of Dubuque has been a leader in sustainability in Iowa, and is a member of the Iowa Initiative for Sustainable Communities through the University of Iowa. Alliant, which serves customers in Iowa and Wisconsin, already owns several renewable energy operations, including other solar projects, four wind farms, and a few hydroelectric dams. Clean Air in the River Valley, also known as CLE4R, is a collaborative effort to improve air quality in the city of Dubuque and nearby communities. The project is a partnership between University of Iowa IIHR—Hydroscience and Engineering the city of Dubuque, and surrounding Upper Mississippi River Valley communities. 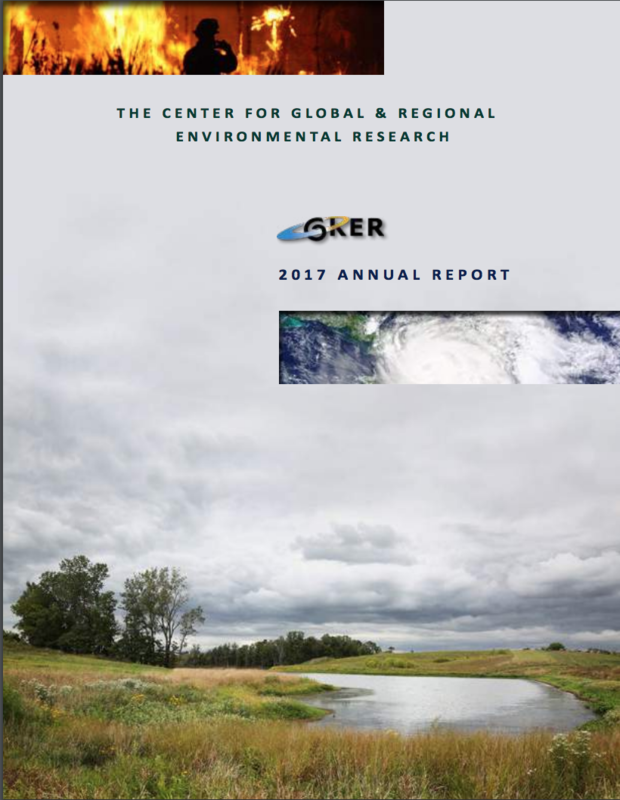 Founded in October of 2015, CLE4R’s four pillars are environmental education, technology, partnerships, and planning. Most parts of eastern Iowa and western Illinois experience air pollution that makes the air unhealthy for residents during at least some part of the year. CLE4R aims to reduce particulate matter in the air that is smaller than 2.5 microns (PM2.5). This type of air pollution is particularly common in Iowa’s Upper Mississippi River Valley communities. The project is funded by the U.S. Environmental Protection Agency’s Environmental Education Program and is set to end this July. Representatives from CLE4R will be present at the Dubuque’s Science Technology Engineering and Math (STEM) festival on April 22nd and at Iowa City’s Science Technology Engineering Art and Math (STEAM) festival on April 23rd. This week’s On The Radio segment looks at Dubuque mayor Roy Buol and efforts his city has taken to address human-induced climate change. Dubuque Mayor Roy Buol was among more than 500 mayors from around the world in Paris earlier this month as part of the COP21 international climate conference. During his visit to the City of Light, Mayor Buol met with three other mayors from the Mississippi River Cities and Towns Initiative – as well as mayors from other river basins around the world – to discuss clean water, food production, and other environmental sustainable initiatives that the different communities have undertaken. Buol discussed some of the efforts taking place in his northeast Iowa city of nearly 60,000 residents such as the Bee Branch Storm Water Project which aims to redirect water flow in one of the city’s more flood-vulnerable neighborhoods following heavy rains and flash flooding. Buol shared this effort with other mayors with the hope they might be able to pursue similar projects in their own communities. He said that human-induced climate change is something that needs to be addressed and that can be done through measures implemented by city-level governments. For full text and video from the interview with Mayor Buol, visit Iowa-Environmental-Focus-dot-org. 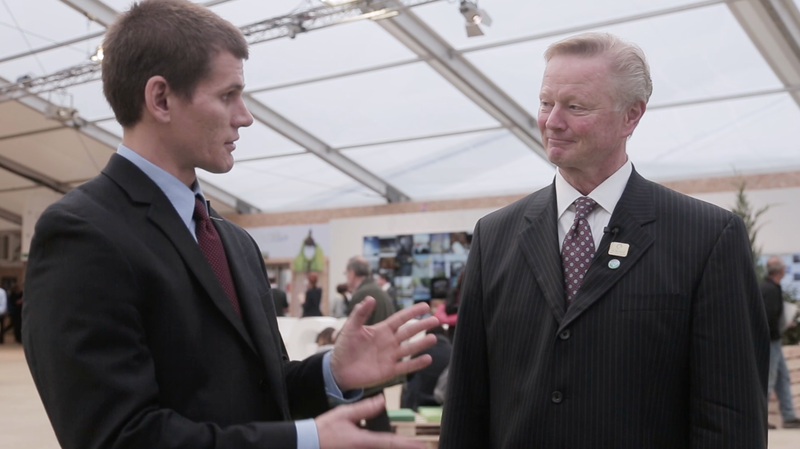 CGRER met up with Dubuque mayor Roy Buol at the COP 21 conference in Paris on Tuesday to discuss initiatives he and other mayors around the world have taken to address climate change. FETTY: I understand that you’re over here in Paris to meet with other mayors along the Mississippi River to discuss water quality, agriculture, and other issues. What have you discussed thus far? BUOL: I’m here with three other mayors from Mississippi River Cities and Towns Initiative and we’re here to talk to other mayors from other river basins about sustainability with a focus on clean water and food production. We’ve had some good meetings. We had an event in the Blue Zone yesterday and have another one today to announce what we’ve come up with and I think we might even have some signatories to that agreement. FETTY: What are some of the initiatives that Dubuque has been doing in regard to sustainability and adapting to climate change? Are there any ideas you have recommended to the other mayors? BUOL: I’ll tell you about some of the things that other mayors have ask me about. There are over 500 mayors here at the COP which I think really has brought a new energy to COP 21. In Dubuque we have three major projects in regard to sustainability and resilience. We have the Bee Branch Storm Water Project that we’re actually daylighting the creek to one of our older neighborhoods that’s had six disaster declarations in the last twelve years from flooding and flash flooding. So this project will literally create a creek that will redirect water at a very slow speed and when it’s not flooded it will serve as a linear park in one of our more challenged neighborhoods. It will be doing a lot of things to help clean that water as it drains into the Mississippi River. So that’s a climate resilience piece that we’re addressing. Our historic Millwork District which is basically vacant and abandoned, we’re refocusing those old buildings into apartments, retail space, space for the arts. We received one of the first TIGER (Transportation Investment Generating Economic Recovery) grants for streets. We have pervious pavers which will control runoff and filter water back into the system naturally. Our third major project was our Water Resource and Recovery Center which was a 70 million dollar project. It replaces what used to be an incineration system for storm water. Today the byproduct of that process is fertilizer for farm fields and methane for capturing, cleaning, and putting into six micro-turbines that will produce the power that will actually run that facility and provide heat that will help with the digestive process. We’re looking at expanding that as we get richer types of waste. Also, we can actually compress that CNG (natural gas) to be used in the future. FETTY: Are there any ideas that other mayors have discussed that would be applicable to Dubuque? BUOL: We just had some discussions with other river basins about what they’re doing to clean water. Many of them are similar to the things we’re doing on the Mississippi. Creating flyways for instance, creating those backwater settings where migratory birds and things can live and water can be filtered through those areas. Creating hydropower has been done in many countries as a way to get away from petroleum-powered energy sources. There are a lot of similarities to what we’re doing. When we talk to people from these other river basins, especially in arid areas, where they have these extensive droughts, and we have these tremendous rainstorms, so they’re dealing with something a little different of a situation than we are on the Mississippi. For us it’s about clean water, taking the nutrients out of the water to make it cleaner for everyone down river. By 2050 we’re looking at another two-and-a-half billion people in the world. We’ll be at nine-and-a-half billion people. You put that on top of the fact that we’re going to dealing with some climate change that’s really going to change the way that food is produced. In the United States it’s an engineered process. We can plant a lot of crops in a very short period of time. We have seeds that are resilient to drought. Those types of things other countries don’t have. But if we meet that nexus where we’re providing food for the rest of the world and other basins aren’t up to speed, it will devastate our farming. It will create water really rich in nutrients that will contribute to the gulf hypoxic zones that we already have. We’re dealing with some major issues in the future if we don’t start to mitigate them now and help other river basins create that resiliency. 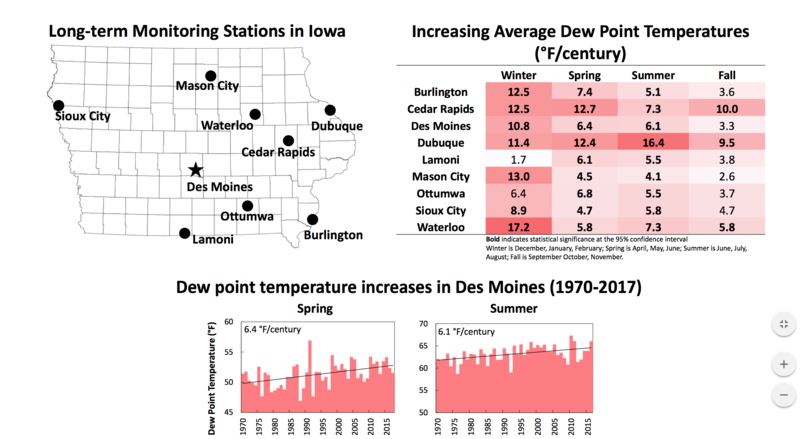 FETTY: Why is the issue of climate change something that Iowans should care about? BUOL: The reality is that the climate is changing and it’s changing at a rate that has really accelerated compared to past history. The ebbs and flows of climate. I’m convinced man is a part of that process and we’re already seeing those changes occurring across the country, across the world. Extreme rains events, extreme drought events, temperature rises, sea-level rises. If we don’t start to mitigate those things now we’re going to be a point soon that it’s irreversible. One thing that I’ve heard here mentioned a lot of times is people talking about a different kind of energy with this COP 21 and that’s based on the number of mayors here and the projects that are happening in their cities which is really making a difference. Creating those best practices as examples that can be used globally. It seems to be a different COP from what I’ve heard from a lot of participants from around the world. FETTY: Yesterday we spoke with Des Moines Mayor Frank Cownie and he talked about how it can be easier to get things done at the city level as opposed to the state or federal level since it is a smaller level of government. Do you agree? BUOL: I think it does work better at the local level. Our constituents have our phone numbers, they know where we live, they meet us on the street. It’s easier to form partnerships at the lower levels of government. In Dubuque for instance we have every entity that you can think of on board with our sustainable resiliency policies. Everything from the Chamber to businesses to nonprofits to schools to city government. Even individuals who step up and get excited about a project when they know they’re going to make a difference. They become part of the solution. When we created Sustainable Dubuque we had a citizen commission of forty people that engaged the community to see what they wanted sustainability to look like and that been hugely successful in our undertaking since then because the people feel like they’re part of that decision-making process. Check back tomorrow for more Iowa-focused coverage from COP 21.